To protect your skin at the gym, make sure you pull your hair back so that it doesn’t cause bacteria to build up along your hairline. Better yet, wear a headband. When you finish your workout, either at the gym or as soon as you get home, wash your face thoroughly. The worst thing you can do is go from your workout to another activity and let the sweat and germs from the gym soak into your face. Also, avoid wiping sweat off your face with your hands and instead follow the next rule to get rid of excess sweat. You must have a towel with you at all times. We know your workout will be tough, so you’re going to be tempted to rub your dripping face on anything, such as your hands or your shirt. This just causes the bacteria to stay on your body, which will lead to breakouts. If you have a towel nearby you can wipe the bacteria off your face and body in one swipe! Sweat deprives your skin of water, leaving it dull and dry. This can lead to fine lines and premature aging. 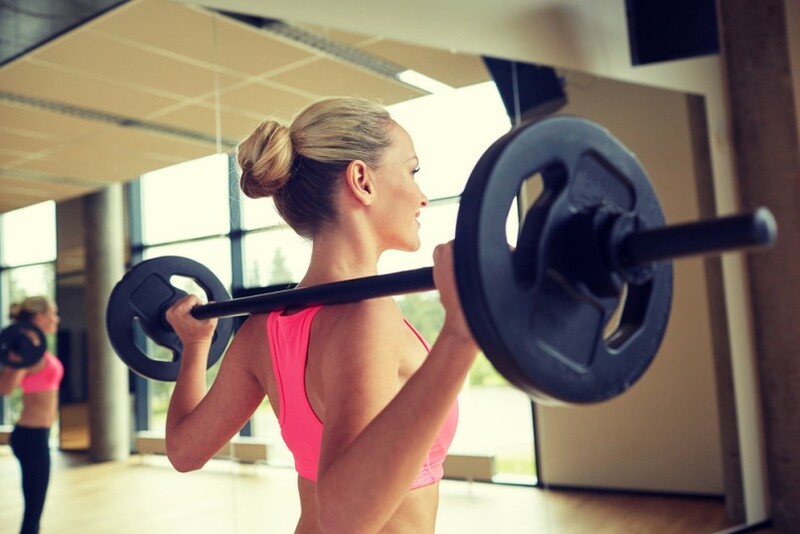 Keep your skin radiant and soft by applying a light moisturizer to your face before you hit the gym. Apply lotion to other dry spots on your skin, like your elbows and knees. If you are working out outside, use a lotion or moisturizer that doubles as sunscreen. Always have a change of clothes ready if you’re not showering immediately after. If you workout after work and have dinner plans after, we promise you’ll have time to change your clothes real quick. Sitting in sweat-soaked clothes allows for bacteria to build up and can cause all kinds of irritations on your skin. Even if you plan on showering fairly sooner after your workout, there are a few things you need to do as soon as you finish working out. Pack face or makeup remover wipes to quickly remove bacteria immediately. Make sure you have hand sanitizer in case you can’t get to a sink right away—gyms are a storehouse for germs. If you need to run to social plans right after your workout, pack a salt spray for your hair so that it dries in effortless beachy waves. You may want to pack a floppy hat in case your sweaty hair is irreversible. Bring a moisturizing foundation to replenish your skin while also eliminating some of the redness from your workout. Whatever you do, don’t pile on a lot of makeup post-workout because your skin needs time to breathe. If you haven’t washed your face completely, then you could ruin your makeup products by spreading bacteria from your face into your brushes. Lastly, if you do shower at the gym, don’t forget to bring sandals so you’re not standing on the bare shower floor.